This is an example of the knife from the island of Crete in the Mediterranean. 9 inches single edge blade with a T shaped filed spine. 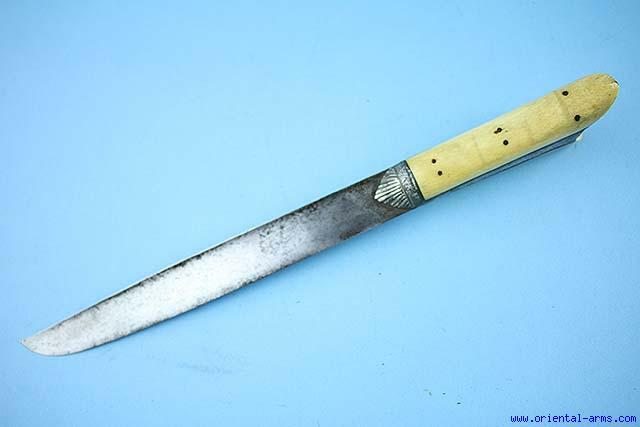 The handle is made of ivory grips widening toward the pommel in a form of split ears. The bolster and grip strap are engraved silver .Total length 14 inches. Very good condition. Minor chips on the ivory. No scabbard.